[S26] 1900 United States Federal Census, online , Year: 1900; Census Place: Montezuma, Cayuga, New York; Roll: 1013; Page: 1B; Enumeration District: 0034; FHL microfilm: 1241013. [S26] 1900 United States Federal Census, online , Year: 1900; Census Place: Montezuma, Cayuga, New York; Roll: T623_1013; Page: 21B; Enumeration District: 34. [S31] The Auburn Citizen, Auburn, New York, 15 Feb 1929 After a lingering illness, the death of James Moroney of Montezuma occurred early this morning at Mercy Hospital. Mr. Moroney was born in Montezuma and was a life long resident of that place. He was well known and highly esteemed in that vicinity. He is survived by two brothers, Daniel and Thomas Moroney of Montezuma, two sisters, Mrs. John Barry, Savannah, and Miss Mary E. Moroney of this city. uneral will be held at the Mullen Funeral Parlors, 55 Clark Street, Monday morning at 9:30 o'clock with services at St Mary's Church at 10 o'clock. Burial will be in St. Joseph's Cemetery. [S128] Unknown author, Auburn Democrat-Argus (n.p. : n.pub., unknown publish date), De 13, 1901 Last week the sad Intelligence was received of the death of our former townsman, William Moroney, wbo died at Cripple Creek, Colorado, December 6. 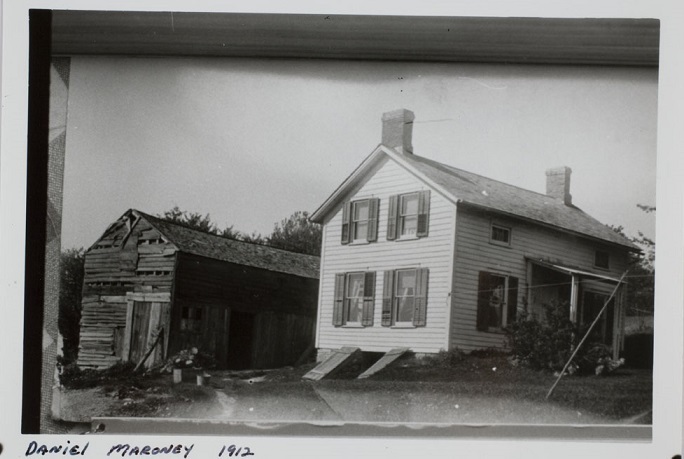 Mr. Maroney was born in tbe original town of Mentz (now Montezuma) in 1856. Some 25 years ago be went to Colorado and engaged in mining. He was unmarried. He was a man of exemplary habits, Industry and integrity. He U survived by four brothers, John, James, Daniel and Thomas Moroney, of this town, and three sisters, Mrs. Catherine Kinsslla, Miss Mary E. Maroney, of Auburn, Mrs. John Barry, of Seneca county, and a large cirole of relatives and friends who loved the affectionate brother. [S65] 1920 United States Federal Census, online , Year: 1920; Census Place: Savannah, Wayne, New York; Roll: T625_1274; Page: 1A; Enumeration District: 159; Image: . [S1048] Familysearch.org, New York Probate Files 1829-1921, unknown repository, unknown repository address, "New York, Probate Records, 1629-1971," images, FamilySearch (https://familysearch.org/pal:/MM9.3.1/… : accessed 25 Oct 2013), Cayuga > Wills 1891-1893 vol 33C > image 274 of 456. [S26] 1900 United States Federal Census, online , Year: 1900; Census Place: Tyre, Seneca, New York; Roll: T623_1162; Page: 9B; Enumeration District: 97. [S642] Unknown author, St. Joseph's Church (Weedsport, New York) Baptisms 1862-1910 Marriages 1862-1910 Deaths 1883-1910 (n.p. : n.pub., unknown publish date), Marriage Record. Name: Richard Power Mathew Carbery. [S67] Town of Montezuma Records, online http://web.archive.org/web/20020212104157/http://…, (Waybackmachine), May 21, 1908 John Tyler Moroney Thomas Moroney Tyler Nina May Preston Arthur Preston Annullment. Beach, Jean E. 1924-1940 Stivers, "Her Mother a Maroney"
Find A Grave Memorial# 75435620. Death Place: New York, USA. [S44] Town of Montezuma Records, online http://web.archive.org/web/20020215005729/http://…, (Waybackmachine), Moroney, Vincent Sylvester Jan 1, 1909 0-1-1 Montezuma John T. Moroney Nina Preston. [S62] Ancestry.com, Social Security Death Index (n.p. : Online publication - Provo, UT, USA: Ancestry.com Operations Inc, 2011.Original data - Social Security Administration. Social Security Death Index, Master File. Social Security Administration.Original data: Social Security Administration. Social Security D, unknown publish date), Number: 022-07-5153; Issue State: Massachusetts; Issue Date: Before 1951. James D Moroney was born in 1900 at New York, USA.1,2 He lived in 1910 at Montezuma, Cayuga, New York, USA; Age in 1910: 10Marital Status: Single; Relation to Head of House: Son.1 He lived in 1920 at Montezuma, Cayuga, New York, USA; Age: 20Marital Status: Single; Relation to Head of House: Son.2 He died before 1950. [S11] 1910 United States Federal Census, online , Year: 1910; Census Place: Montezuma, Cayuga, New York; Roll: T624_928; Page: 9A; Enumeration District: 0049; Image: 823; FHL microfilm: 1374941. Notes: Jul 1939: Name listed as RICHARD MORONEY; Mar 1945: Name listed as MICHAEL RICHARD MORONEY. [S84] The Port Byron Chronicle, Port Byron, NY, Richard Maroney, a former resident of this town passed away in a hospital in Rochester, early last Wedneaday morning. He is survived by two sisters, Msr. John Thurston of this town and Mrs. Daniel McNamara of Waterford. Three brothers, John T. of this town, Charles of Connecticut and Thomas of Waterford. [S85] Montezuma Birth Records, online <http://web.archive.org/web/20001110085900/http://…>, Moroney, (f) Mar 11, 1892 2-2 Montezuma Helen Tyler (27) Aurelius NY Thomas Moroney (28) Farmer Montezuma. State (Year) SSN issued: New York (1953-1954). [S69] 1940 United States Federal Census, online , Year: 1940; Census Place: Waterford, Saratoga, New York; Roll: T627_2773; Page: 7B; Enumeration District: 46-68. [S67] Town of Montezuma Records, online http://web.archive.org/web/20020212104157/http://…, (Waybackmachine), Jan 19, 1910 Daniel McNamara, Jr Daniel McNamara Lillian Parmington Mary Ellen Moroney Thomas Moroney Hellen Tyler. [S44] Town of Montezuma Records, online http://web.archive.org/web/20020215005729/http://…, (Waybackmachine), McNamara, Jilna? E.? Jan 26, 1913 0-21-0 Montezuma Daniel McNamara, Jr. Mary Moroney. [S44] Town of Montezuma Records, online http://web.archive.org/web/20020215005729/http://…, (Waybackmachine), Moroney, Michael Daniel Dec 28, 1892 0-0-2 Montezuma Daniel Moroney Susan. John Patrick Barry was born in March 1840 at New York, New York, New York, USA.1,2,3 He was born circa 1842 at New York, New York, New York, USA. He lived in 1860 at Tyre, Seneca, New York, USA. He married Johanna Moroney, daughter of Michael Moroney and Mary Frahar, on 14 December 1879 at Montezuma, Cayuga, New York, USA.2,4 John Patrick Barry lived in 1900 at Tyre, Seneca, New York, USA.2 He lived in 1910 at Savannah, Wayne, New York, USA.3 He died between 1910 and 1920. [S85] Montezuma Birth Records, online <http://web.archive.org/web/20001110085900/http://…>, Birth Record for daughter, Katherine. [S642] Unknown author, St. Joseph's Church (Weedsport, New York) Baptisms 1862-1910 Marriages 1862-1910 Deaths 1883-1910 (n.p. : n.pub., unknown publish date), Date is May 4, 1897. [S85] Montezuma Birth Records, online <http://web.archive.org/web/20001110085900/http://…>, Moroney, Agnes Teresa (f)Aug 22, 1891 1 Montezuma Ellen Kane (34)MontezumaJohn Moroney (44) Farmer Ireland. Mary L Moroney was also known as Mary Maroney.3 She was born on 30 September 1881 at Montezuma, Cayuga, New York, USA.3,4,5 She lived in 1892 at Montezuma, Cayuga, New York, USA; Age: 10.3 She lived in 1910 at Montezuma, Cayuga, New York, USA.1 She lived on 1 June 1925 at Montezuma, Cayuga, New York, USA; Age: 42Relationship: Sister.2 She married (?) Driscoll. [S85] Montezuma Birth Records, online <http://web.archive.org/web/20001110085900/http://…>, Moroney, Mary (f) Sep 30, 1881 0-0 Montezuma Ellen Kane (23) Montezuma John Moroney (35) Farmer Ireland. [S642] Unknown author, St. Joseph's Church (Weedsport, New York) Baptisms 1862-1910 Marriages 1862-1910 Deaths 1883-1910 (n.p. : n.pub., unknown publish date), Date says Aug. 29, 1882. [S85] Montezuma Birth Records, online <http://web.archive.org/web/20001110085900/http://…>, Moroney,(f) Dec 31, 1893 6-6 Montezuma Ellen Kane (35) Montezuma John Moroney (46) Farmer. [S67] Town of Montezuma Records, online http://web.archive.org/web/20020212104157/http://…, (Waybackmachine), Feb 1, 1919 James Mullen Mathew Mullen Mary Burns Widower Helen J. Maroney John Moroney Ellen Kane. [S2] 1880 United States Federal Census, online , Year: 1880; Census Place: Auburn, Cayuga, New York; Roll: 814; Family History Film: 1254814; Page: 387D; Enumeration District: 041; Image: 0697. [S61] 1930 United States Federal Census, online , Year: 1930; Census Place: Montezma, Cayuga, New York; Roll: 1411; Page: 2B; Enumeration District: 43; Image: 881.0; FHL microfilm: 2341146. Notes: 24 Sep 1976: Name listed as JOHN P MORONEY. [S74] The Citizen Advertiser, Auburn, NY, Death Notice.